♥ NAPHYRA ♥: DIY Project - Decorating the entrance of our sweet home. 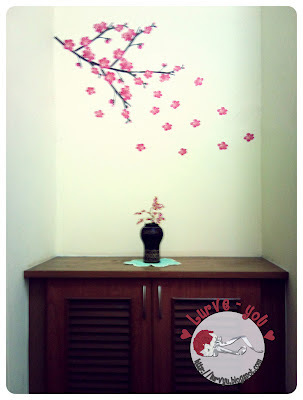 DIY Project - Decorating the entrance of our sweet home. It's 12 March and this is my first entry for this month..?? Helloooo.. are you going to keep this blog silent? Hmm.. I always love to think of decorating the entrance of our sweet home. This is where we welcome our guests with love and joy. Am I right? So last year, I've decided to decorate the right corner of our entrance door. 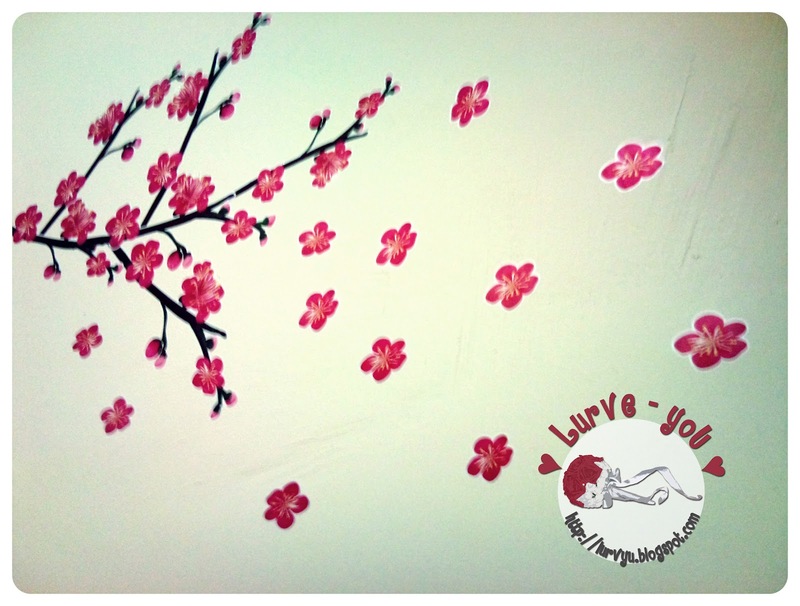 Sakura sticker wall decor. Bought it at RM3. Satisfied! 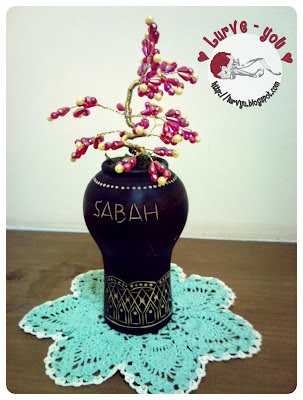 A bonsai beaded flower from mama. ♥ it! A very simple decoration to welcome our guests. I think both of them looks perfect, no? rumah lama la ni reyha. rumah baru lom pindah pon lagi. cane nak wat. 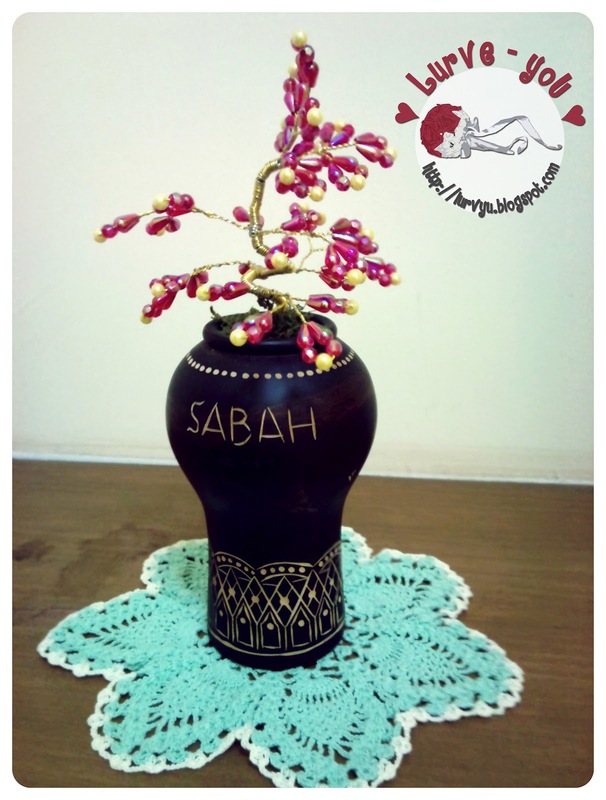 ala, ni projek mase nak raya thn lepas la reyha. tapi ni baru skrg nak tepek kat blog. teruk kan? HAHA! Selamat berdeko utk rumah baru nnt!